Not only is it possible for any fan to watch all three remaining Clark County high school football teams this week, the schedule makes it real easy. 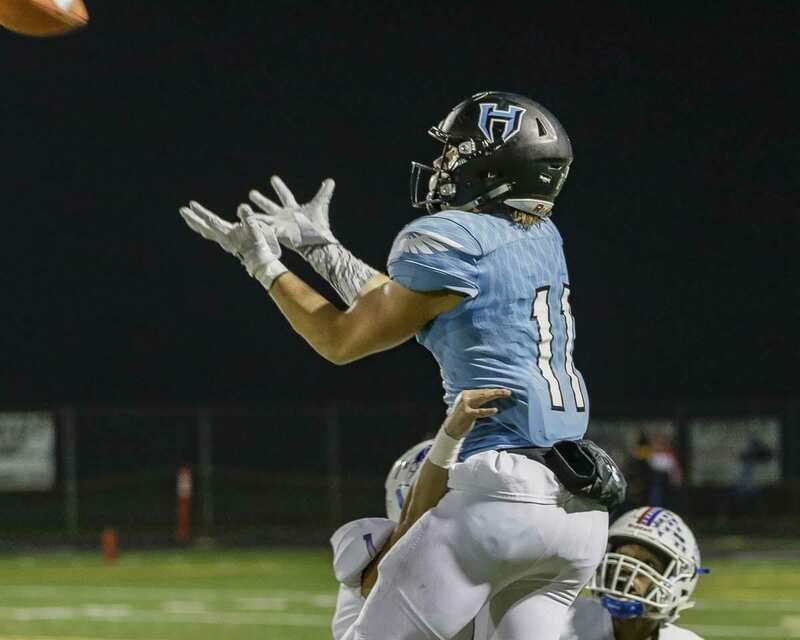 Hockinson plays Friday night at Doc Harris Stadium in Camas, while Union and Mountain View play a doubleheader Saturday at McKenzie Stadium. Yes, three state quarterfinal games all in Clark County. Oh it is on now. The Hawks have that feeling again, that swagger. 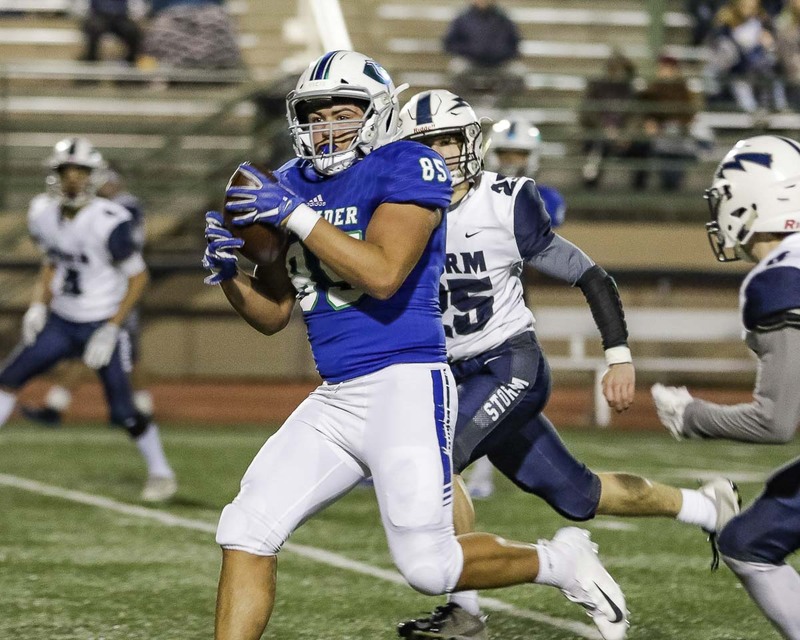 They jumped out early last week in the win over Washington in the first round of the Class 2A state football playoffs, something that did not happen a lot this season. This is just the start, too, the Hawks hope. Of course, in theory, these games will get more and more competitive. Steilacoom comes to Clark County with a 10-1 record and had the No. 9 seed coming into state. 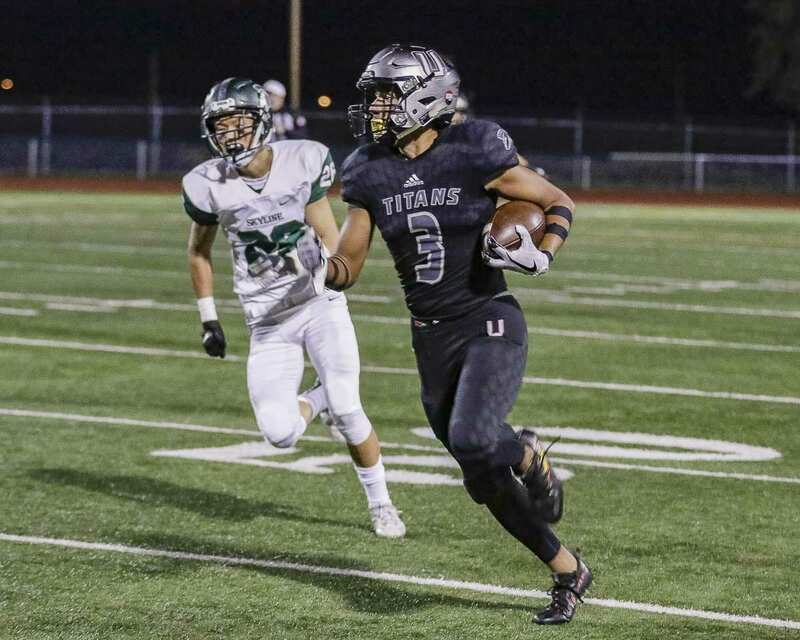 The Sentinels will bring with them Emeka Egbuka, a sophomore wide receiver who is listed as among the top recruits in the nation for his class. Steele would be referring to Hockinson’s Sawyer Racanelli, a junior who also is a Division I recruit. Another Hockinson recruit, Peyton Brammer, should get the assignment to cover Egbuka. “He’s pretty pumped up for the challenge,” Steele said. Egbuka, Steele noted, is probably used to playing against smaller defensive backs. Brammer is a 6-5, 205-pound athlete. So Steele likes the matchup. “If they beat us with our best guy on him, I guess they deserve to win,” Steele said. The Hawks never expect to get beat, though. That is the mentality of a team on a 24-game win streak. They went 14-0 last year in winning the state title. They are 10-0 this year in hopes of finishing 13-0. This is the next step. This step also takes them to Camas for the first time. The Hawks, who cannot use their home field for state playoff games, will be “home” in Camas. He jokingly asked if Camas officials can bring out the big inflatable Camas football player, so his players can run through it. Only, he offered to place an H over the C in the helmet. … Yeah, that’s not gonna happen. What could happen is a larger than normal crowd. It might be more than just the Hockinson fans. We watched the Union Titans take out one of the best programs in the state. Sure, it was a No. 1 vs. a No. 16. But it was Skyline. And the Titans had no problem with the Spartans in the first round of the Class 4A state playoffs. It turns out, so was the Union coach. “If we play like that from here on out, I think we’re pretty tough to beat,” Rory Rosenbach said, days after that opening round victory, after he watched the video to confirm what he thought he saw from the sideline. Next up is Bothell. Only if Union gets past Bothell will the Titans think about the semifinals … or beyond. Bothell is waiting, hoping to surprise the rest of the state by handing Union its first loss of the season. In fact, there were times Rosenbach would look at a Bothell play on video, then watch it again. Rosenbach said Bothell will not make too many mistakes, which means Union has to be on its game, too. “Biggest thing is we’re lining up in the right spots on defense. And make sure we don’t turn the ball over on offense,” Rosenbach said. This is the point of the season when seedings and records have little value. There are eight teams left. All are talented. The Titans know everyone is coming for them, though, with that 11-0 record. There is another number that Rosenbach is particular fond of this season: 27. While the focus remains on this season, the future looks bright, too. Union’s varsity, junior varsity, and frosh teams combined to go 27-0 in the regular season. Mountain View coach Adam Mathieson had a warning for his players this week. “You don’t accidentally get to the quarterfinals,” he said. As the No. 3 seed, Mountain View was “expected” to win in the first round, to make it to the elite eight. Rainier Beach, though, was an 11-seed. The Vikings got the victory last week and are headed to Clark County to face the Thunder. Nobody associated with the Mountain View program should take this game lightly, no matter the seeding. Rainier Beach, after all, went to the state championship game last year. The Vikings have three losses, but two have come to the top two teams in the state. The Vikings are loaded with talent. Mathieson said there should be no more surprises. At this point, teams know who they are and there are not a lot of styles a team has not seen. “The kids go, ‘OK, here’s the scheme we’re playing this week.’ It’s a veteran group,” the coach said. “We kind of just go back to work. What’s this team look like? What’s the game plan? Then we go to practice. Respect the process. Respect the opponent. The Thunder also are looking forward to one final home game. Should Mountain View win this week, the team will travel for the semifinals. “We’re going to play as hard as we possibly can, play together, and see what happens after 48 minutes,” Mathieson said.